There were two 37 pointers in today in both divisions; Bob Poole won division 1 ahead of Gareth Piccininn in second on 35 while Willy Van Heetvelde picked up third with 31. Frank Grainger topped division 2 and John Carlin beat Steve Harris on a 21/15 back-nine count-back after they both came in with 35 points each. Near pins went to (Div 1) Tony Foster, Gareth Piccininn and Bob Poole (2), and (Div 2) John Carlin, Bill Kana, Ray Kingwell and Manfred. There were no ‘2’s in either division. A good turnout today with 22 players and the equal cut coming at 19.2 and 19.3+ in division 2. Playing off an 8-handicap Paul Bray returned the best score of the day, winning division 1 with 42 points. Harry Vicenzi was second behind Paul on 37, Ray Daws took third with 35 and in fourth place was John Carlin with 34. Frank Grainger came in with 38 points to win division 2, with Manfred in second place one point behind, Ken Miller in third with 33 and Peter Henshaw fourth on 29. Near pins were claimed inDiv 1 by Paul Bray (2) and Tony Foster, and (Div 2) Bernie, Ray Daws (2) and Frank Grainger. Paul Bray birdied the 12th and Dave Horne the 5th to share the top flight’s ‘2’s pot and in division 2 there was another rollover. The condition of the course here is still improving every week and the management have informed us the changing rooms will be fully refurbished by the end of this month, and the restaurant by the end of August. Thirty-four points was the best score today, coming from Frank Kelly to win division 2. John Carlin was second four points behind Frank and Tony Thorne came in third with 28. Two 32-pointers battled for top honours in division 1, with Khalifa Nasser beating Colin Aspinal 12/11 on a back-six count-back. 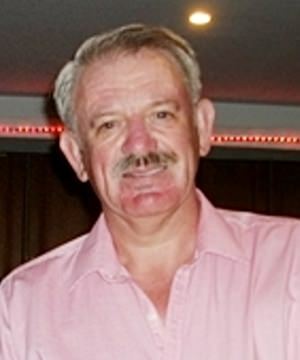 Paul Butler claimed third spot with 29 points. With eight nearest the pin prizes today there was only one claim in division 1 from Paul Butler on the 17th and in division 2 from Frank Kelly on the 17th and Tony Thorne on the 6th. Colin Aspinal got the only ‘2’ of the day on the 17th.